A new release has arrived! There is just one new feature and Kosovo, that has been added (as it was added by the ARRL to the DXCC list) but there are many bugfixes that improves the quality of KLog. Test the new feature and doubleclick on the entity name in the DXCC widget, you will see the QSOs that are supporting the DXCC status for that entity. I think it is interesting to follow up your DXCC! Double clicking on DXCC Widget name of the Entity will show the QSO is providing that status on the Search widget. 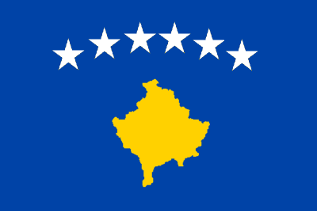 Added DXCC support for Kosovo. Bugfix: Default band & mode are now defined as the most used band and mode. Bugfix: TX frequency was not saved. Bugfix: In the dxcc status widget, some countries were showing the UN flag unappropriately. Bugfix: When updating the CTY file, query errors were shown on world.readCTYCSV function. Bugfix: When editing the QRZ, the cursor position was not properly maintained. Bugfix: Fixed the flags of several DXCC entities that were not correctly shown. Bugfix: DXCC Status widget was not listing all the DX entities. Bugfix: Modes & Bands where not always properly updated from the Setup. Bugfix: Adding new QSO that implies a DXCC or WAZ status already worked failed. Bugfix: Updating the WAZ status was not always possible due to a incorrect DB query. Updated translations: Danish (TNX Joe), Spanish (EA4TV). This entry was posted in Bug, KLog, Release and tagged Bug, KLog. Bookmark the permalink.